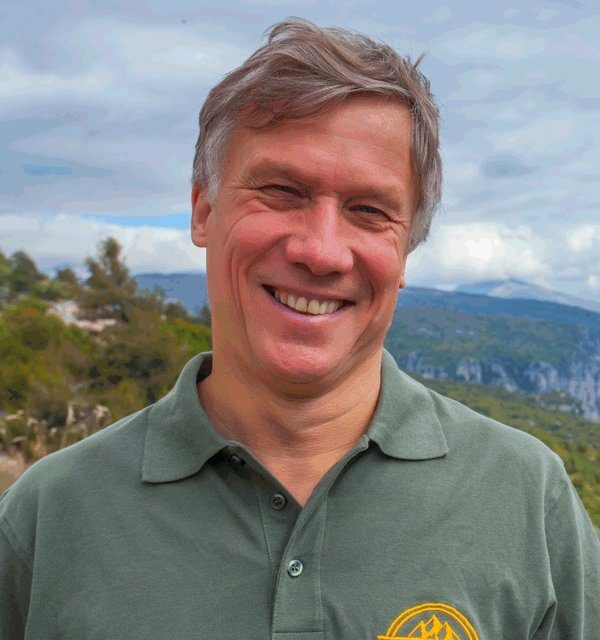 Actor, presenter, documentary maker, Peter Duncan, former Chief Scout and one time Blue Peter man has a TV, film and theatre career that spans four decades. A self-confessed adventurer, in 2009, Peter co-founded The Natural Adventure Company. When he took up a friend’s invitation to make his first visit to Southeast Europe he was faced with an abundance of surprises. He happily admits, “Whilst I had visited many other regions of the world, this was a part of Europe, almost on my doorstep, which I knew so little about”. Starting with walking holidays in Bulgaria, gradually adding more countries in the Balkan region, now they have become the leading UK experts for self guided walking holidays in the Balkans, Central & Eastern Europe. He perhaps became known for his daredevil approach to life when he joined the Blue Peter team in 1980 and began to travel the world on expeditions. He wore his action man label easily, running in the first London Marathon in just over three hours (his last one in 2012 was much slower). He competed against a sumo wrestler in Japan, dug for emeralds in Sri Lanka and travelled to Indonesia many times working with Oxfam on operation pipeline. In 1986 he left Blue Peter to make Duncan Dares, a series that capitalised on his adventurous image with stunts such driving an amphibious VW beetle across the Irish Sea as well as competing for England as a dragon boat racer in Hong Kong. He joined the circus as high wire walker and climbed the Old Man of Stoer with mountaineer Doug Scott. Another dare saw him guided by SAS survival expert Lofty Wiseman surviving in the wilderness. At the start of this century, Peter began making his own programmes including a six-part series called Travel Bug in which he, his partner Annie and their four children backpacked their way around the world. They trekked in Nepal, went on safari in Africa and into the rainforest in Peru. In the follow-up series, they toured to China inspiring their eldest daughter Lucy to return after studying Mandarin. Arthur’s trip to India was their final family TV adventure series focussing on the youngest member of the Duncan clan. Peter was appointed Chief Scout in 2004 helping to lead the Scouts through their centenary in 2007. He also used his filming skills to follow an expedition up Mount Everest and was lucky enough to meet and film Sir Edmund Hillary just before he died. Peter is a patron of Neighbourhood Midwives, Action for Children’s Arts and Youth Music Theatre and was given a Gold Blue Peter badge for his volunteer work with the Scouts. He is also very excited to be a joint founder of The Natural Adventure Company and looks forward to many new adventures. 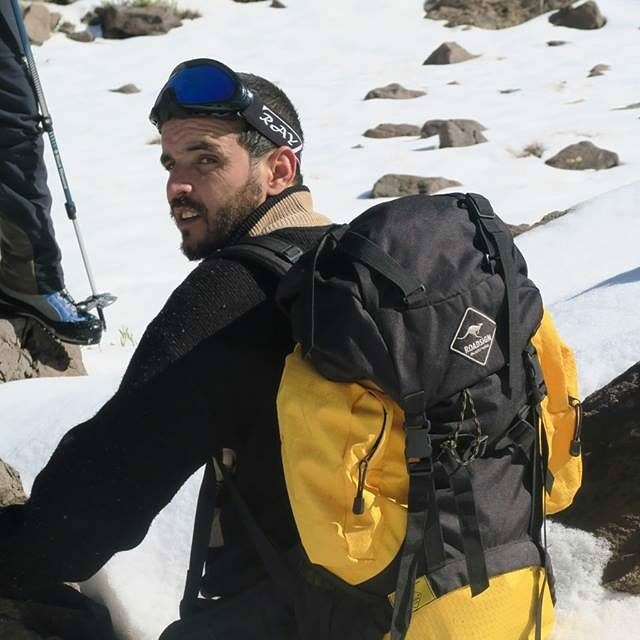 Alex Pazderski is the co-founder of The Natural Adventure Company and is in charge of the strategic and operational management of the business, setting the direction and overseeing (almost) everything. An International Business graduate, after some – successful but unsatisfactory – years in the investment banking and M&A business in London and Sofia, Alex decided to focus entirely on The Natural Adventure Company. Alex splits his time between our two offices in London and Sofia and makes sure that everything runs smoothly so that you can have an unforgettable walking holiday. Alex is a keen walker and outdoor enthusiast and has hiked many of the routes we offer, often as part of our rigorous route testing programme implemented before we launch a new itinerary. Alex is also an acclaimed expedition kayaker. He has paddled over 20,000 km on the rivers and seas of Europe. In 2011 he made a widely publicised record-breaking kayaking trip on the Danube, paddling in winter conditions from Vidin to Silistra (almost the entire Bulgarian section of Danube, more than 400 km) in only 4 days. This trip typically takes 12 days if you are an experienced kayaker. The challenge was aimed to raise awareness of four endangered bird species in Bulgaria living along the Danube. Vishal has an extensive experience in travel and manages our UK headquarters in Harrow. He makes sure that every customer or potential customer is serviced properly and that all local partners and suppliers are paid on time. Polly is based in Sofia and manages our Central & East European operations. She oversees our global back office and IT functions and helps organise our Bulgaria walking holidays. Milen is our chief software engineer; he is a front-end guy who’s swimming in familiar waters when it comes to WordPress. He and his team ensure that our website stays functional, user frendly and informative. After graduating his studies in Political Science and working in the field of media research for some years, Atanas decided to pursue his passion for travel and adventure, switching to a full time occupation in the travel industry as a guide and tour manager. At the Natural Adventure Company he is responsible for customer support and for designing custom walking and cycling itineraries. If you have questions about any of our tours, Atanas will most likely have all the answers. Alice is putting everything in order when it comes to dealing with client enquiries via our website or on the phone. 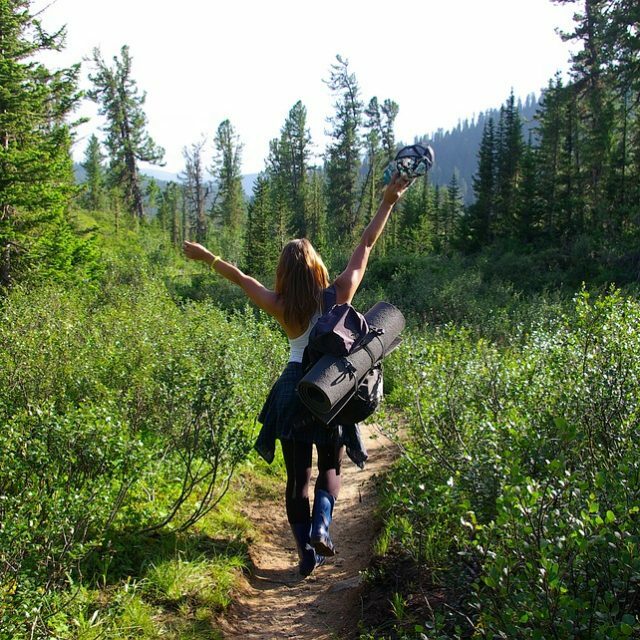 She is an avid hiker; her favourite holiday destination is the Canary Islands. David is in charge of our walking holidays in France and Switzerland. 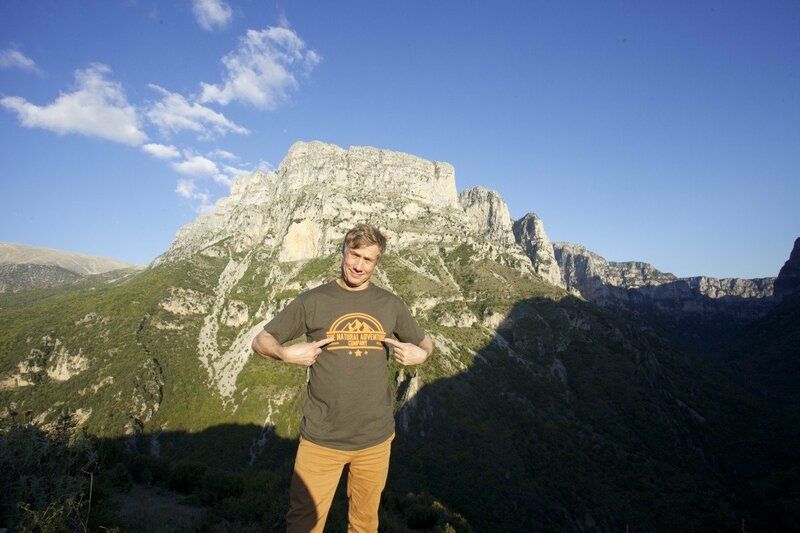 David was born in Vercors natural park, in the French Alps. After working abroad in Asia for a few years, he decided to come back home and turn his hobby into a full time job. As a ski instructor, guide, and nature lover he has extensively travelled the Alps and a wide part of France on his feet, skis or on his bike. Favourite holiday destinations: Mont Blanc and the Swiss Alps. Ricardo is an avid hiker, biker and skier with an Italian name from Germany who’s been living in Albania for five years. If you struggle to explain your vegetarian or vegan dietary requirements while booking an Albania walking holiday with us, just say that you want the same what Ricardo gets and you will have no worries. Favourite holiday destinations: Albania’s Mysterious South & The Peaks of the Balkans Trail. Ricardo is in charge of our walking holidays in Albania and ensures that the routes are regularly checked and route notes are kept up-to-date. He also takes care of everything being set up correctly for your walking holiday concerning local hotels and transfers and is always available to assist you during your stay. Paris was born in Athens. He studied in an American university (B.A. in history) and in an English university (M.A. in archaeology). He worked for 20 years in large multinational companies in Greece and abroad before committing full time to his passion: hiking. Since then he has been living in the Zagori region in Northern Greece and organising our holidays in Greece. Yüksel is in charge of our walking holidays in Turkey and ensures that the routes are regularly checked, and route notes are kept up-to-date. He also takes care of everything being set up correctly for your walking holiday concerning local hotels and transfers and is always available to assist you during your stay. Yüksel has been walking for 20 years on our Turkey trails, and many of the routes are his own creation. Hiking is his passion, getting to the nature means for him freedom, enjoying peace and calmness. Beatrice is in charge of our Amalfi, Cinque Terre and Sardinia walking holidays. She ensures that the routes are regularly checked and road notes are kept up-to-date. Beatrice also takes care of everything being set up correctly for your walking holiday concerning local hotels and transfers and is always available to assist you during your stay. 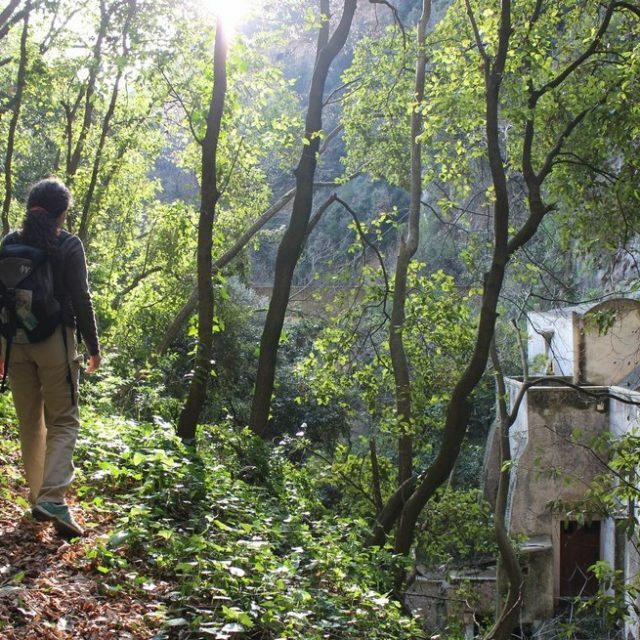 Originally from the Cilento National Park area, but now living on the Amalfi Coast, she is an avid walker and has now turned her hobby into a profession. She regularly walks the trails herself, and she is particularly happy when she can take her dogs with her. Beatrice’s favourite holiday destination: apart from her Cilento ‘homeland’, Sardinia ranks highest on her list. Helmut is in charge of our walking holidays in Austria and Germany and ensures that the routes are regularly checked, and route notes are kept up-to-date. He also takes care of everything being set up correctly for your walking holiday concerning local hotels and transfers and is always available to assist you during your stay. Helmut has been dealing with walking holidays for 20 years as a tour guide and developer. He likes most hiking in the border areas between Bavaria and Tyrol including Salzburg. There are many former smuggler trails and an unspoiled nature because of the border! There is also some great history in these areas because starting from the Romans everybody had to cross these alpine passes to go from north to south. Aznar is an experienced route advisor and designer. He has walked all over the world (Alaska, Greenland, Scandinavia, all around Europe), but his passion is rural Spain and discovering the unspoilt corners of this country: hidden valleys, remote villages, and of course the traditional local cuisine, languages and traditions. When he is not hiking he likes to spend time reading (especially literature and history), playing and listening music, and during the winter he enjoys cross-country skiing. 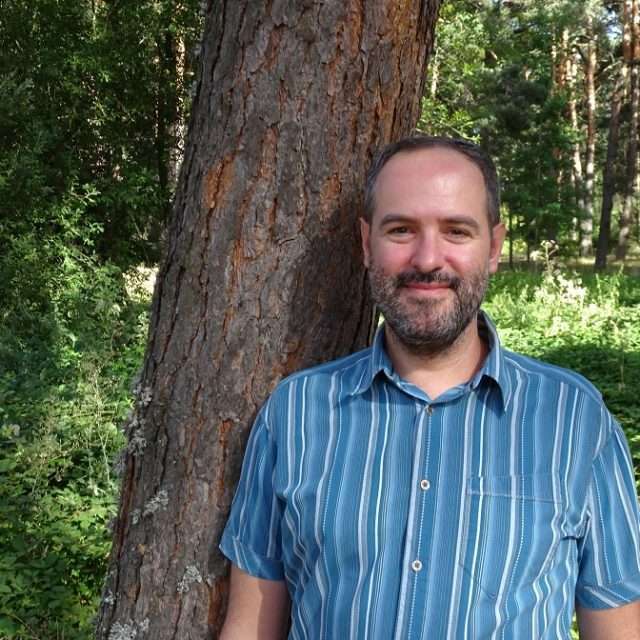 He is in charge of our itineraries in Sierra de Guadarrama, Ribeira Sacra, the Basque Coast and Basque Pyrenees. Dalibor is in charge of our walking holidays in Croatia and ensures that the routes are regularly checked, and route notes are kept up-to-date. He also takes care of everything being set up correctly for your walking holiday concerning local hotels and transfers and is always available to assist you during your stay. 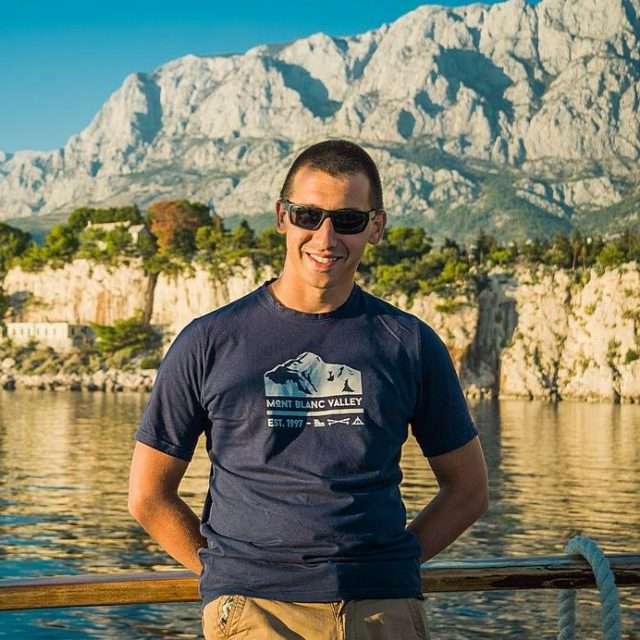 Dalibor is deeply connected to his country, customs and traditions that Croatia can offer. Born in Croatia and with a degree in tourism and economics, Dalibor is a travel professional ready to create memorable local experiences. Dalibor has worked exclusively in the travel industry over the past 25 years. Using his 17 years of being a certified travel and outdoor guide, Dalibor continues to enjoy the thrills of hiking, cycling and skiing. Judit is in charge of our walking holidays in Hungary and ensures that the routes are regularly checked, and road notes are kept up-to-date. She also takes care of everything being set up correctly for your walking holiday concerning local hotels and transfers and is always available to assist you during your stay. 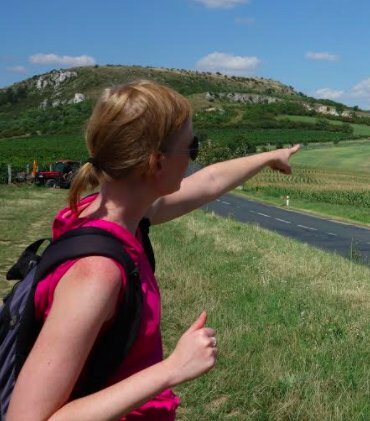 Among all kind of duties performed by her so far as a destination manager, her favourites are designing and then testing herself the walking and cycling itineraries in Hungary. Her favourite holiday destination – apart from the Bükk National Park in Hungary – is the Mediterranean because of its climate, flora and architecture. Lenka is in charge of our walking holidays in Slovakia and ensures that the routes are regularly checked, and route notes are kept up-to-date. She also takes care of everything being set up correctly for your walking holiday concerning local hotels and transfers, and is always available to assist you during your stay. Her favorite holiday destination beside Slovakia is Moravia in the Czech Republic. Mohamed was born and raised in the Atlas Mountains near Marrakech. He is a law graduate, but his real passion is hiking. He is a certified tour guide with 14 years of experience. He speaks Berber, Arabic, English and French. Mohamed is in charge of our walking holidays in Morocco and ensures that the routes are regularly checked and route notes are kept up-to-date. He also takes care of everything being set up correctly for your walking holiday concerning local hotels and transfers and is always available to assist you during your stay. Marek is an experienced cycling and walking tour guide. He loves winter hiking, especially with touring skis. Apart from snowy peaks, he likes deserts, in particular, the Death Valley in California. Favorite holiday destinations: Czech Republic, Montenegro, the Dolomites in Italy. Marek is in charge of our walking holidays in Poland and ensures that the routes are regularly checked, and route notes are kept up-to-date. He also takes care of everything being set up correctly for your walking holiday concerning local hotels and transfers and is always available to assist you during your stay. Marian is in charge of our walking holidays in Romania and ensures that the routes are regularly checked, and route notes are kept up-to-date. He also takes care of everything being set up correctly for your walking holiday in Romania concerning local hotels and transfers, and is always available to assist you during your stay. Mountains are Marian’s real passion. He has hiked almost 90% of the Romanian Carpathian Mountains, from the well known Piatra Craiului, Bucegi, Fagaras to the most remote ones. He has a ten-year experience as a licensed tour and mountain guide. Favourite holiday destinations: Romania and Greece (especially the islands).